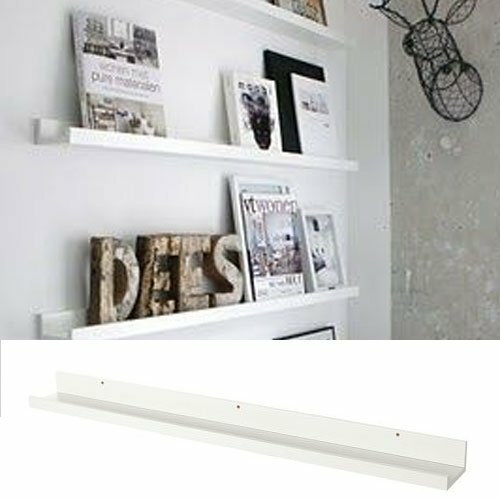 For this post, I have put together a collection of the best floating shelves currently available. Stay organized in style. A compact shelf design will give you the opportunity to decorate without taking up too much space, These shelves use hidden brackets to create a seamless look that will enhance any room in your house. 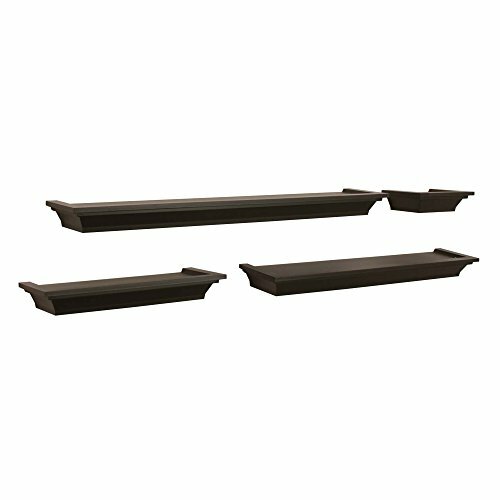 The following floating shelves uniquely achieve a smooth and refined appearance that you will be proud to showcase. 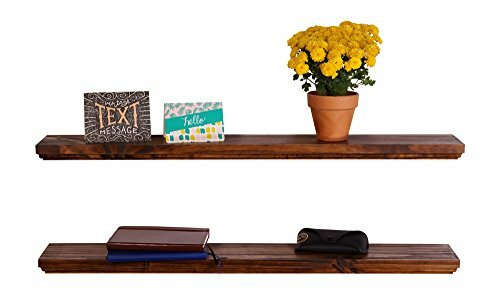 So here is my list of The 10 Best Floating Shelves. Shelves are cut, planed, jointed, routed, and sanded in-house, to ensure the utmost consistency in aesthetics and durability. 100% countersunk hidden brackets with clear coat finish. 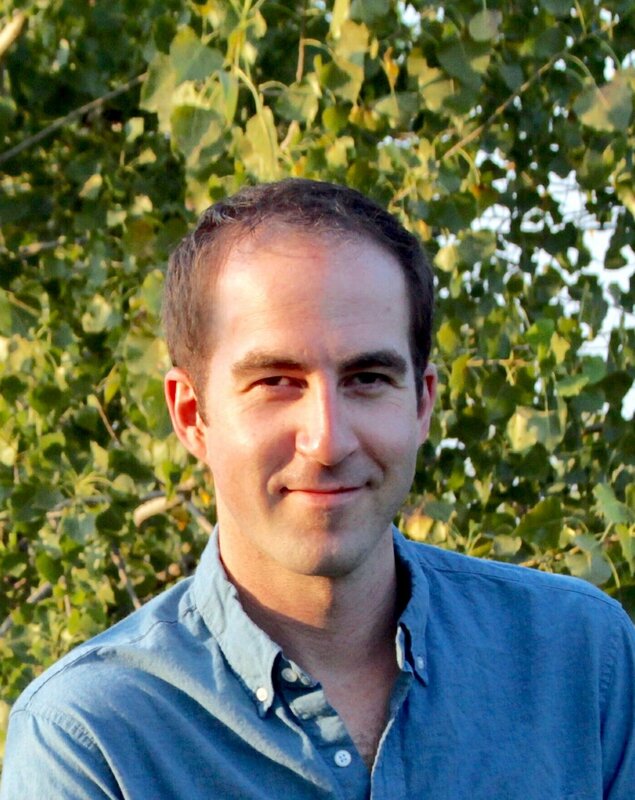 Finish is achieved by using a custom multi-step process. 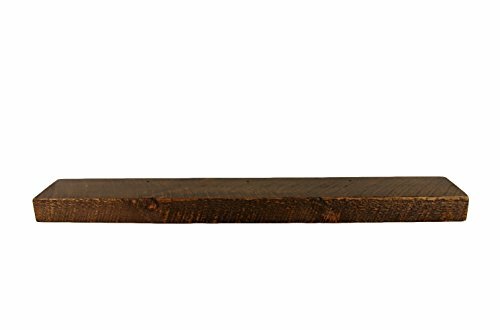 Rustic wood shelf with antique look and matte finish. Easy to mount with hidden bracket, hardware and instructions included. Dimensions: 48" wide x 7" deep x 3" thick. Made in Wisconsin, 100% solid pine. 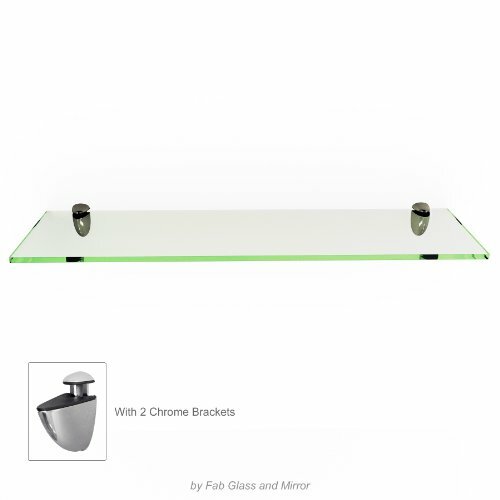 Rectangle floating glass shelf kit. Includes chrome brackets for easy installation. Every step in they system from the 100% countersunk hidden brackets, to obtaining the perfect moisture levels before crafting with the wood has been uniquely designed to deliver the greatest end product to you. True floating shelves have routed edges. 100% countersunk hidden brackets and a clear coat finish. Finishing process achieves a smooth and refined appearance that you will be proud to showcase. These contoured ledges come in various lengths to create an eclectic look. Finished in espresso, will provide an elegant display of your favorite photos or small knick knacks! 6" by 1.5" by 4" deep. 12" by 1.5" by 4" deep. 20" by 1.5" by 4" deep. 24" by 1.5" by 4" deep. Max weight of 5 lb per shelf. Mounting instructions and hardware are included. The minimalist photo ledge is built to blend in with the decor of your home. Utilize your walls efficiently and get rid of the clutter. in your nursery room to display your children's favorite books. in your dining room to display your favorite cookbooks. in your kitchen to organize your spices and pantry. Cubes are constructed of high-quality, light-weight MDF. Different finishes are available to match your home's decor. 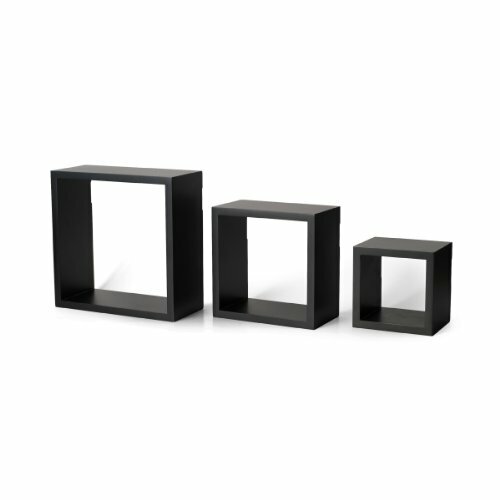 Multi-functional, these cubes can be used individually or together as one connected piece. The larger cube has lock-in screw slots for secure mounting. Hardware and detailed instructions with hanging template are included. Easy to hang and decorate in your own way. Large Strengthened Tempered Glass Shelf (Each glass measures 15 inch x 11 inch x 5mm thick). Maximum weight up to 8kg (17.6lbs) per shelf. The slim all-black wall plate (3 inch wide) with built-in cable management on both sides. Provides a clean overall look with cables neatly hidden. 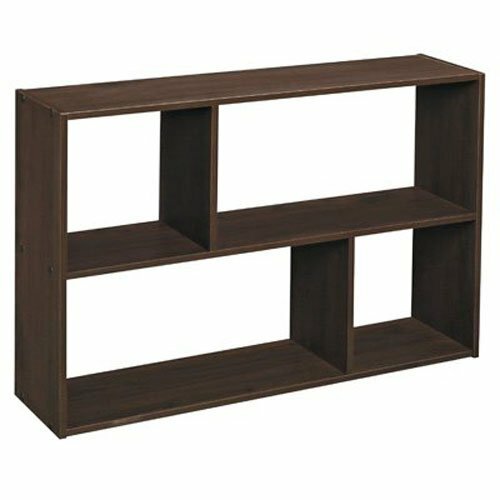 Elegant floating shelf (with adjustable height) to free-up floor space and enhance the look of your entertainment system. 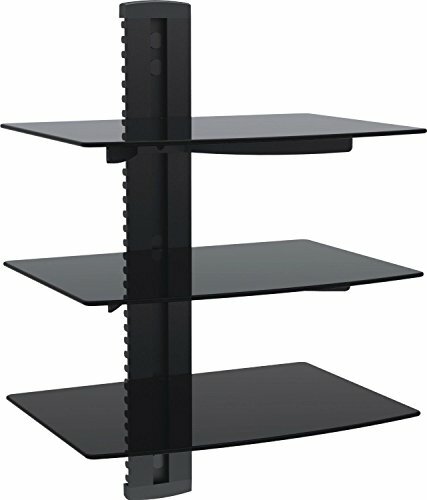 Quality wall mount solution for holding DVD/Blu-Ray Players, Satellite/Cable Boxes, Games Consoles, Hi-Fi and Surround Speakers, etc. Units can be freestanding or wall-hanging. Convenient way to hold CD's, DVD's, office supplies, and other small items. Choose from two size options in two beautiful finishes to begin organizing today. Six colors of Cubeicals available to personalize your space. Includes all of the required hardware for an easy assembly. 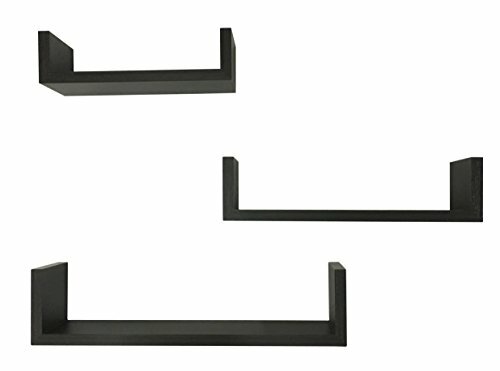 Set of three U-shaped display shelves. Made of durable and long lasting MDF. Hang the set to create a library, display or highlight a favorite collectible. I hope this list of the best floating shelves was helpful.